Purobio Vegan Transparent Gloss makes your lips shiny! Creamy texture, it is enriched with organic coconut oil: your lips are nourished and softened without sticky effect. Easy to apply, the applicator with the rounded tip is flexible, perfectly follows the shape of your lips. 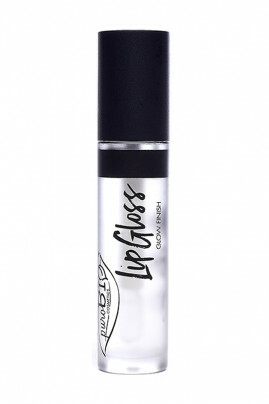 The mirror effect of Puribio Lip Gloss makes your lips natural with a bright glossy finish! PUROBIO Transparent Lip Gloss gives yous luscious lips with comfort! Apply Purobio Vegan Lip Gloss with the foam tip. You can use it alone or in combination with our lipsticks as a top coat for a glossy look. PUROBIO Organic Gloss protects and nourishes your lips!